Specialists in Strata and Insurance Restoration since 1978. 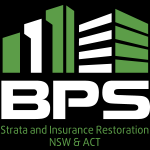 As the success of our company depends on the quality of our employees, BPS Strata Maintenance are always interested to hear from hardworking individuals and specialist contractors. For general employment enquiries, please email a brief resume to enquiries@bpsstrata.com.au or use our contact us form.